Microsoft unveiled a wide range of devices today that represent "the next chapter," of devices designed for Windows 10. 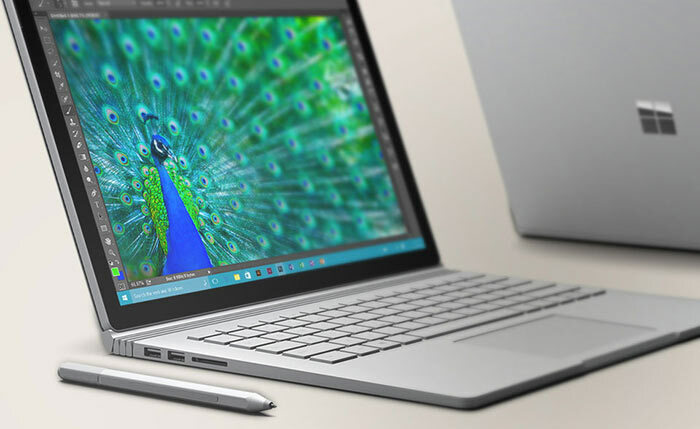 As well as the highly anticipated Surface Pro 4 tablet, Microsoft surprised us with a 2-in-1 called the Surface Book. This is very similar, in form, to the popular ASUS Transformer, and newer Acer Aspire Switch and Toshiba Click. Microsoft's Surface Pro 4 has advanced in all the ways that most users would desire. It's boasted to be "thinner, lighter and faster," than any previous generation of Surface tablet. 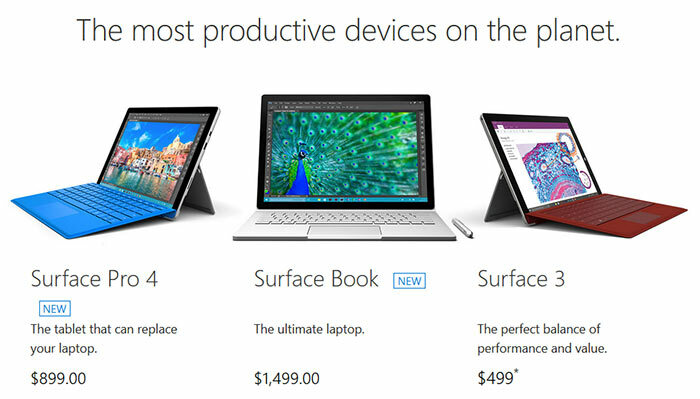 According to Microsoft it's up to 30 per cent faster than the Surface Pro 3. 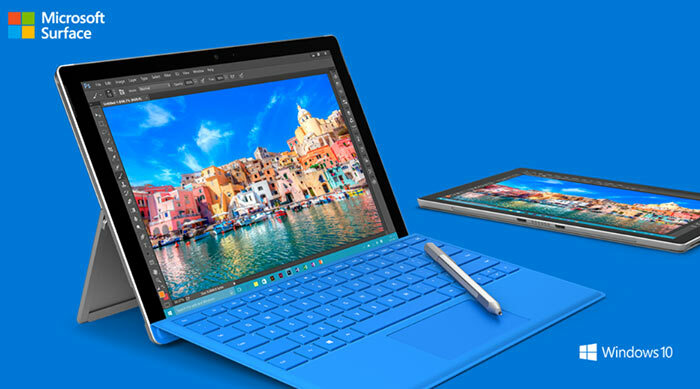 The larger screen fits into a thinner device that has the same footprint as the previous Surface Pro 3. The new keyboard has an integrated fingerprint reader (US only). Pre-orders start tomorrow (that's the 7th October), with orders fulfilled and general retail availability from 26th October onwards. Pricing starts at $899. 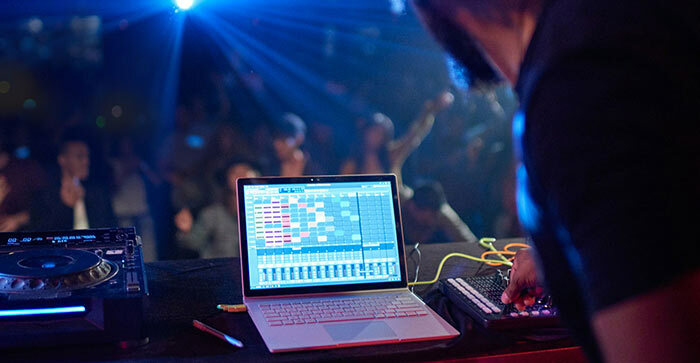 Microsoft headlines the Surface Book as "the ultimate laptop," and goes as far as claiming this is the "fastest 13-inch laptop ever made anywhere on any planet". As I mentioned in the intro, it uses the now familiar click-in type mechanism to switch between traditional clamshell laptop and tablet modes. The dynamic fulcrum hinge looks pretty unique in its segmented concertina like movement. Like the similar form laptops mentioned in the intro you can attach the screen back-to-front for so-called presentation and tent modes. Pre-orders start tomorrow (that's the 7th October), with orders fulfilled and general retail availability from 26th October onwards. Pricing starts at $1,499 for the 8GB RAM, 128GB SSD, Core i5, Intel HD graphics version, going up to $2,699 for a model with 16GB RAM, 512GB SSD and an Nvidia GPU. Are HEXUS readers impressed by Microsoft's latest Surface Pro and its first ever laptop, the Surface Book? Looks the perfect upgrade to my trusty Razer Blade 2013. Any ideas exactly which Nvidia GPU they are using? And how much GDDR5? Just realised how thick this thing is… I'm not sure I like that hinge design. I watched the keynote live, (thats live on my pc not actually there) first time i have ever sat through something like that and not got thoroughly bored. All the devices looked pretty good and Apple were … well outappled. If the devices all get a direct dollar to pound pricing (so for example $1499 becomes £1499) then they are going to be very expensive here in the UK. I want a SurfaceBook and a 950XL though. What I want to know: is the Surface Book a full fledged Surface Pro 4 with a slightly bigger screen? If it is then sign me up for one! On their website they keep referring to it as a clipboard and doesn't really advertise how powerful it is in that mode while they love blowing Surface Pro 4's horn. edit: Like does it have Windows Hello? edit 2: and will it be available on the 26th in the UK and Ireland?